There are a lot of young singers that our Bollywood industry has got but one amongst those is someone who has started from the scratch and has now achieved a great milestone in her life and we are talking about none other than singer Neha Kakkar. Neha has been winning hearts of her fans for a long time and is currently seen judging the very popular singing reality show Indian Idol season 10. 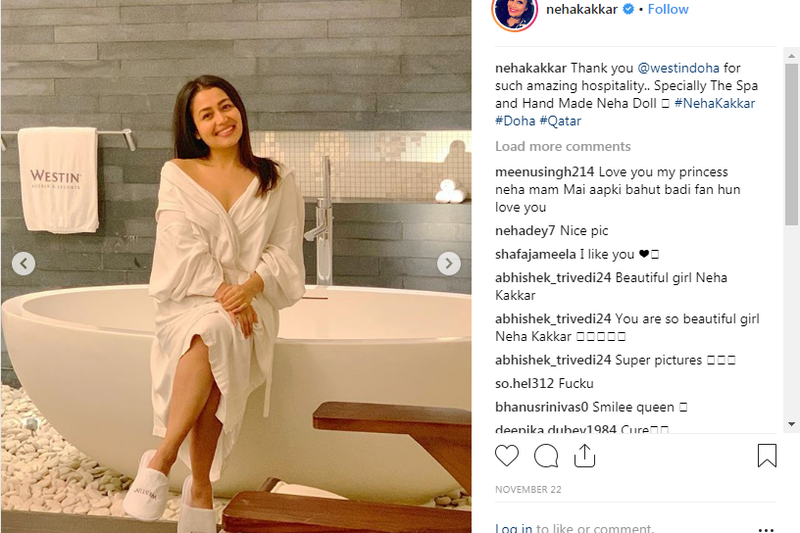 Yet again, the ‘chota packet bada dhamaka’ of the industry shared a picture on her social media from her bathroom that went viral on the internet like fire. There’s nothing bad in the picture but the cuteness in the picture is something that has made it popular. 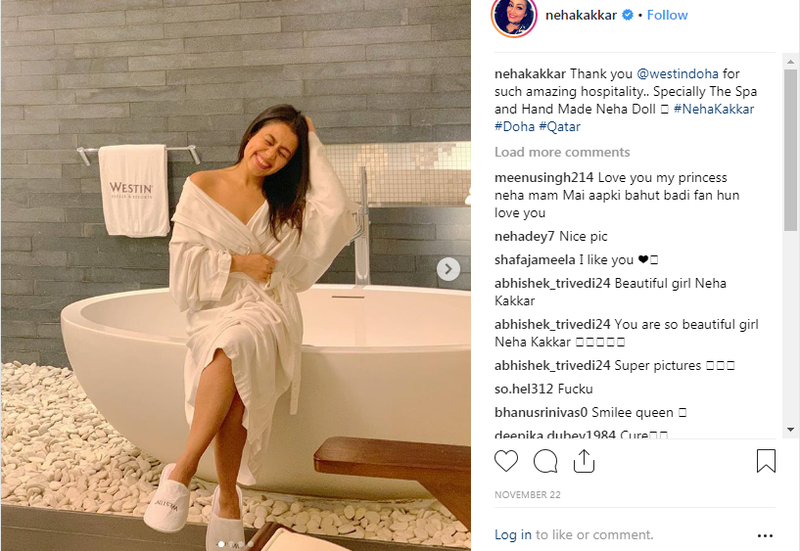 Neha recently visited Doha in Qatar where she stayed in the Westin Hotel from where the picture has been taken. 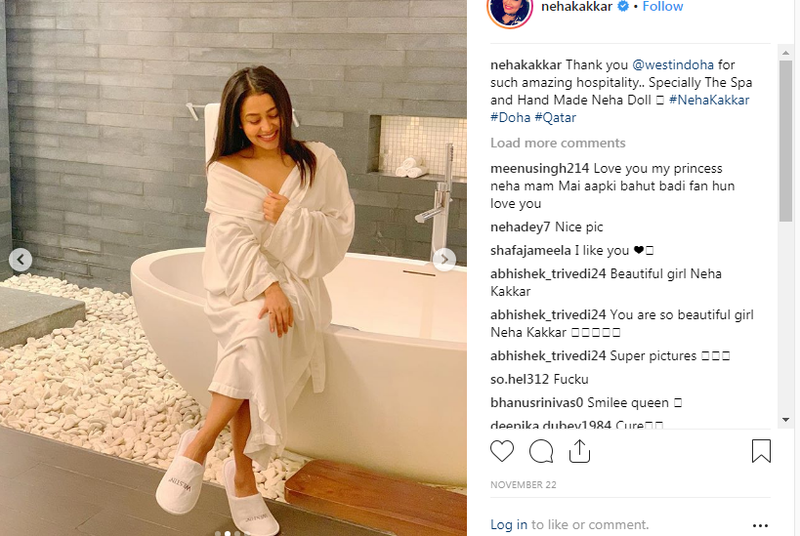 In the pictures, Neha can be seen sitting on the side of the bathtub in her bathroom appreciating the services that were provided to her by the hotel and the staff. The picture was shared by her on her Instagram account and in the caption, she wrote how happy she was with the hotel. 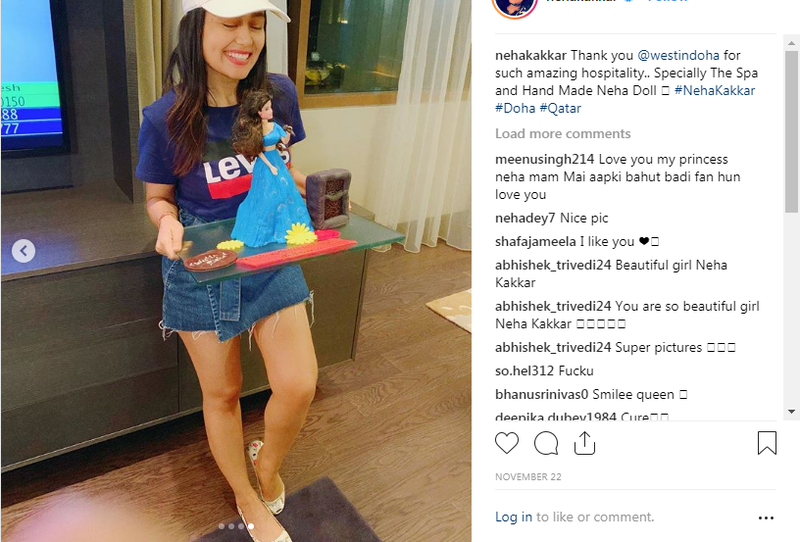 Neha wrote how impressed she was with the hotel, their hospitality, the spa that she received and the cute little Neha doll that was given to her. Police looking for biker who filmed couple kissing in auto. Full video & memes inside. Previous ArticleNeha Kakkar confessed why she regrets breaking up with Himansh Kohli.Next ArticleKingfisher just pulled off the most epic April fool prank – instant beer! 8 visual illusions you wondered what they are called? Top 11 actresses before and after cosmetic surgery. Top 10: Hot and Real American Pornstars (2018). Priya Prakash Varrier looks extremely cute in her latest photoshoot.